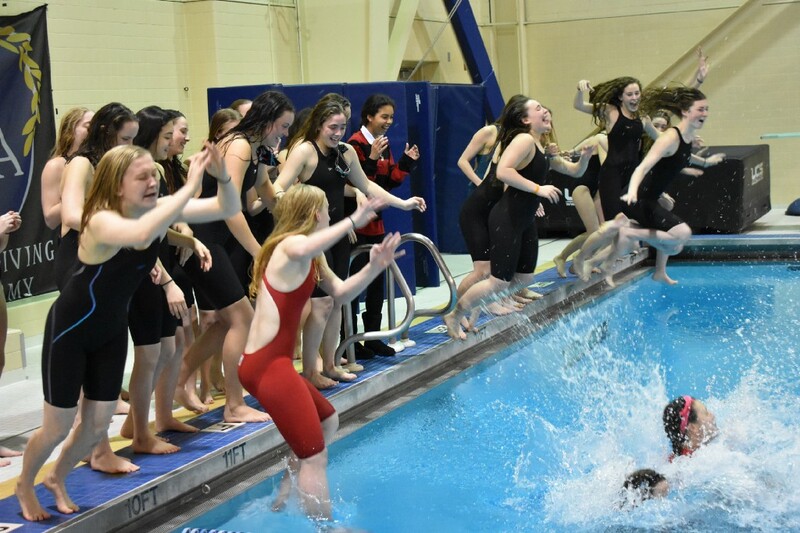 After losing to Mountain Lakes the past three years, Haddonfield defeated the Lakers, 98–72, in Sunday’s NJSIAA Public C State Championship meet. 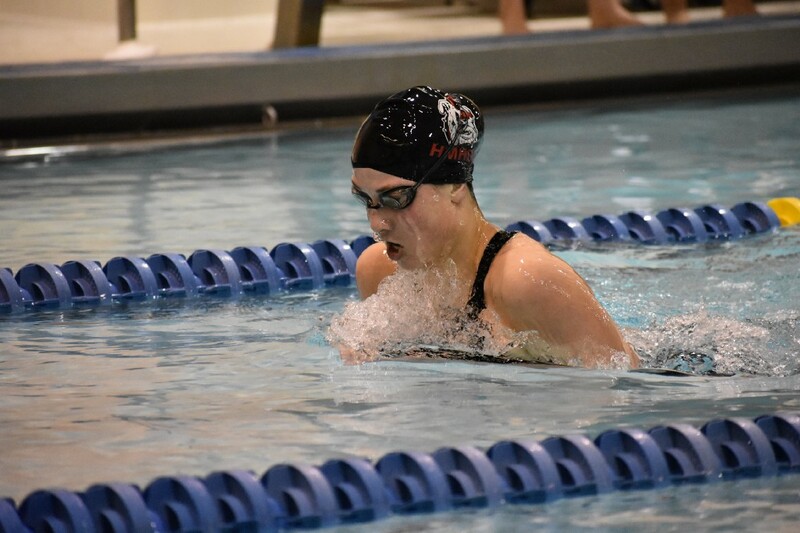 When junior Ava Berzanski touched the wall to win the 100-yard breaststroke for Haddonfield Memorial High School in Sunday’s NJSIAA Public Group C championship meet, she made history in more ways than one. For starters, Berzanski’s time of 1:04.79 was her fastest with the program in the event so far and broke the school record. However, that wasn’t the biggest news from Berzanski’s record swim. 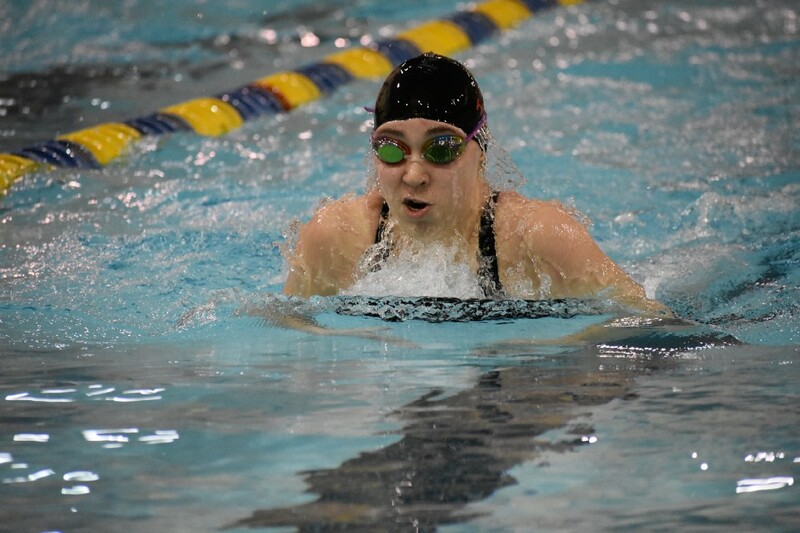 Berzanski’s win also clinched the victory for the Bulldawgs and ended a decade-long drought for the girls swimming program. Ava Berzanski leads the pack in the 100-yard breaststroke. After coming up short against Mountain Lakes High School the past three seasons, the Bulldawgs finally got past the Lakers on Sunday, winning 98–72, for the program’s first state championship since 2009. Haddonfield’s appearance in the state finals on Sunday was not unusual. Since the NJSIAA formed Group C for swimming in 2015, Haddonfield has made it to the Group C state finals every year. However, the Bulldawgs lost in their previous four trips to the state finals, with the last three losses coming against Mountain Lakes. 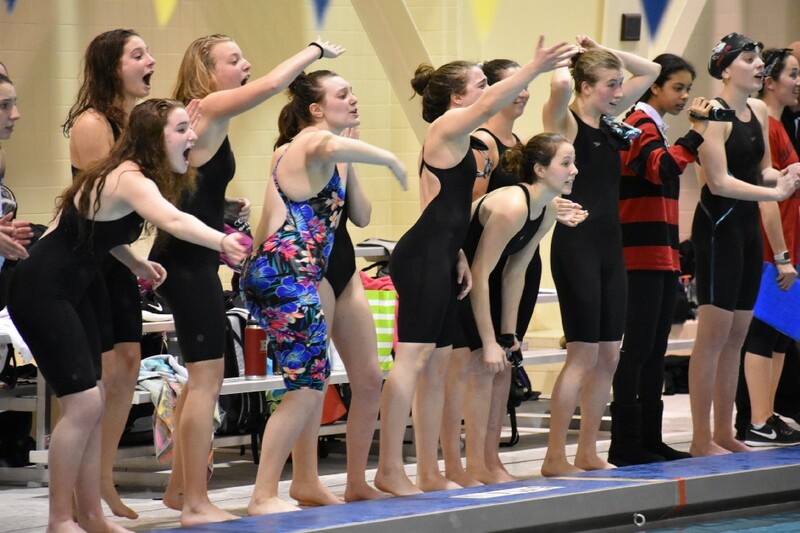 Haddonfield quickly turned the page on the past on Sunday with an impressive performance in the 200-yard medley relay. The Bulldawgs took a 10–4 lead in the event with their teams finishing in first, third and fifth place. Berzanski, junior Sophia Rollo, junior Carly Griffin and freshman Katharine Skelly made up the first place winning medley relay team. Left: Sophia Rollo competes in the breaststroke portion of the 200-yard individual medley. 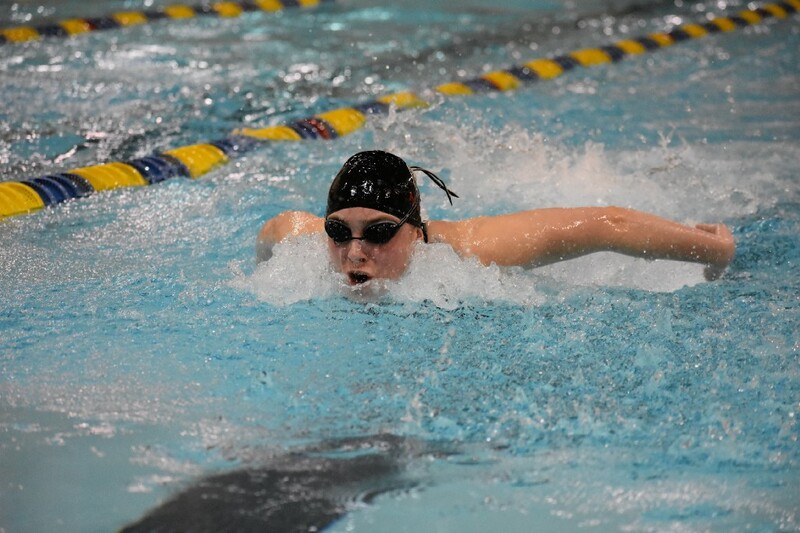 Center: The girls swim team roots on their teammates in the pool during the 200-yard individual medley. Right: Carly Griffin surges ahead in the 100-yard butterfly. Berzanski said Haddonfield’s performance in the event was proof this year’s final was not going to be like the previous four. Haddonfield would never trail in the meet, building their lead up to 20 points by the meet’s third event. Head coach Bob Querubin saw his team enter this year’s finals with confidence and focus. He credited captains Amelia Coty, Regan McDonnell and Chloe Lin for their leadership as well as the poise of the Bulldawgs’ strong freshman class. Haddonfield improved on last year’s 8–5 record by going 12–1 this year. 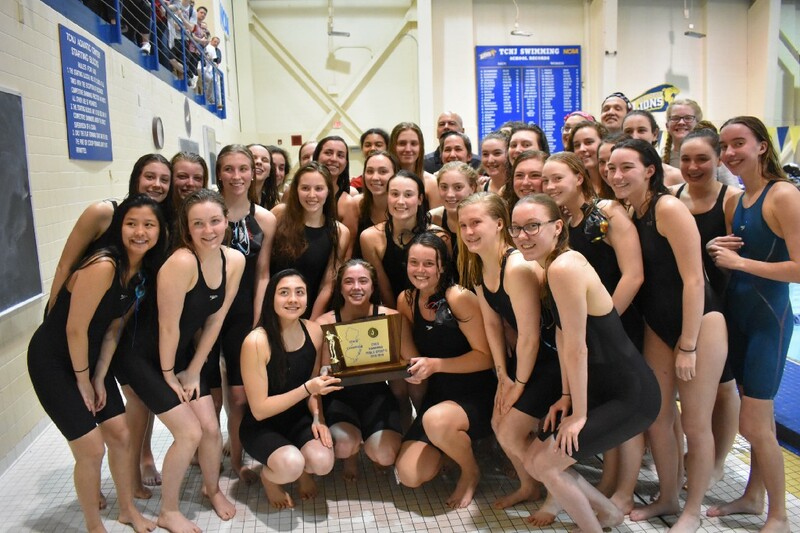 Their lone loss came against Public Group A finalist Cherry Hill High School East and their regular season included a win over Moorestown High School, who won the Public Group B state championship on Sunday just two hours prior to Haddonfield’s victory. Haddonfield takes a celebratory jump into the pool after winning the NJSIAA Public Group C state championship. Haddonfield sensed it had a chance to make history prior to the meet. Plenty of community members sensed it too. The vast majority of the crowd at Sunday’s meet consisted of Haddonfield fans. Querubin believed it was the largest crowd it had come out to any state final. Berzanski and Rollo were thrilled the team could give the community something to celebrate. They believe the one hour meet on Sunday is an hour many with the girls swimming program will never forget.